In a society where technology is advancing leaps and bounds every moment, the video game industry is at the forefront of these advancements. The Entertainment Software Association reports that consumers spent $21.53 billion dollars in 2013 alone, and that’s just from American households. Some of that money, as you’ll learn below, has been spent on some very strange and expensive purchases. Owners of the PlayStation Vita or Nintendo 3DS can rejoice — these tiny portable gaming systems are far from the most expensive ones ever made. That dubious honor goes to the TurboExpress. Japanese electronics manufacturer NEC released the handheld system at a hefty $250 price tag. Sure, that may be around how much the 3DS or Vita cost, but the TurboExpress was released in 1991 — adjusted for inflation, it would have been $430. It was even more expensive than the NEC’s console, the TurboGrafx-16. The TurboExpress boasted an impressive 500 color display and a 400×270 resolution — far superior to the Nintento Game Boy’s blurry black-and-green display. Despite this, the TurboExpress never managed to gain a solid share of the market, selling only 1.5 million units compared to the Gameboy’s 120 million. If anyone wants to pony up some extra cash, you can get one on eBay for $250 to $500. If you’re wondering what would make the TurboExpress’ price seem paltry, that would be the Atari Cosmos, another handheld system. Had the system been released, it would have been one of the most innovative devices of the day. The development of the Cosmos began in 1978. Like most handheld systems it used a simple LED display, but it also had a two-layer holographic image superimposed. These holographs didn’t mean you suddenly had a three-dimensional video game, but it did made the background of those games more dynamic. It was an interesting gimmick, but not necessarily a huge technological leap. So, what makes this gimmicky contraption expensive today? The fact that is was never released. Only five Cosmos units exist — three are empty shell mock-ups, while two are fully assembled and in working condition. One of those is owned by Atari, while the other is in the hands of a former employee. In 2005, one of the incomplete units surfaced for the price of $18,853.44. That’s nearly 20 grand for a device that doesn’t work. The RDI Halcyon had a retail price of a whopping $2500. 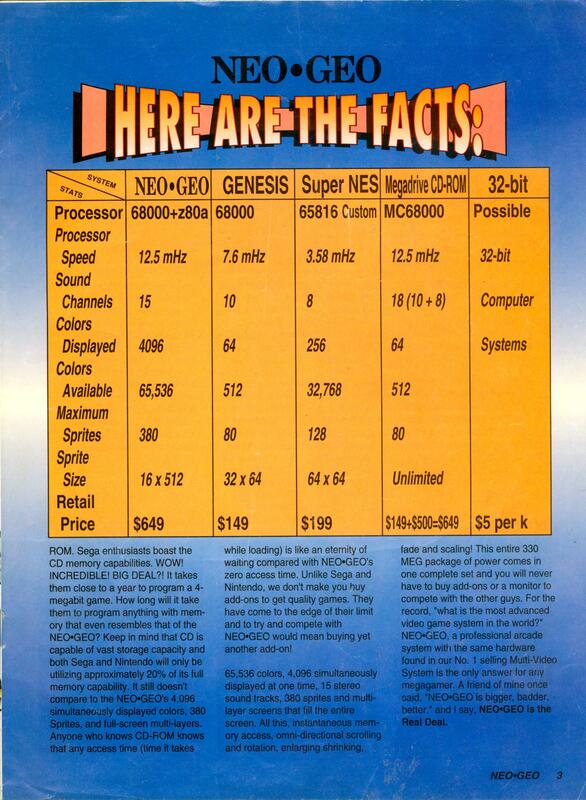 This was back in 1985 — that price tag would turn out to be around the ridiculous $5400 today. A limited release saw the console bundled with Thayer’s Quest and NFL Football, along with a unique headset that allowed the player to use pre-programmed and programmable voice commands instead of pressing buttons on the keyboard. But the hefty price tag, and the fact that the video game market crashed in 1983, doomed the Halcyon to failure. If the RDI Halcyon was released today at its $5400 price tag, most of us would have just rolled our eyes and moved along. But it would have been spare change to those who could afford the Wii Supreme. The Nintendo Wii, beloved by families everywhere, had a 2006 launch price of $250. The price has gone down over the years, but nostalgia (and solid gold) tend to catch one’s attention. The Wii Supreme, created by designer Stuart Hughes, has an exterior made of 22 carat gold and buttons made of perfectly cut diamonds. The price: £299,995 (roughly $519,000). Yes, half a million dollars for a Wii console which, according to Kotaku, is a huge rip-off given the materials that were used. If half a million dollars seems too steep, you can always settle for one of the cheaper alternatives. The PlayStation 3 Supreme would set you back a mere £199,995 (around $340,000). The price range for both smartphone games by developer Alina Avdeeva ranges from $299.99 to 349.99, and has even fluctuated from being completely free to these exorbitant amounts. For some reason the games have become free one day, then outrageously expensive the next. That may have been an attempt to lure unsuspecting customers with a sudden price change. It’s a common tactic for popular smartphone and tablet games, albeit one that usually isn’t so blatant. There are more expensive non-game apps out there, but these two are notable for their silly price scheme considering the features (or lack thereof) of both games. Perfect Penalty 2012 is simply a player taking penalty kicks, and Barcelona vs. Madrid, as the name implies, is simply one game between the two teams. Rare classic games have been huge sellers among avid collectors. The starting bid for a prototype Final Fantasy II cartridge was $50,000, while a Legend of Zelda prototype sold for $55,000. However, the most expensive of all goes for an exorbitant $100,088. This was the amount that a rare Gold Nintendo World Championship game sold for. Only twenty six of the carts were given away by Nintendo Power Magazine in the early ’90s — previous auctions of these collectibles ranged from $21,400 (2007), $15,000 (2008) and $18,000 (2009). Here’s proof of the purchase — you’d think for over one hundred grand they’d throw in free shipping. Wars are costly. From guns and ammunition to missiles and stealth bombers to future-tech weaponry and guidance systems, the sheer amount of money governments spend can be staggering. But video games can have costly battles themselves, and we’re not simply talking about the the electricity and grocery bill after a weekend World of Warcraft marathon. EVE Online, a massively multiplayer online game, has an economy that’s as complicated as real life ones. Gamers even frequently exchange real world money for in-game currency. The only difference is that EVE has a galactic economy — the game is set in space and features hulking battleships even larger than the ones found in Star Wars. EVE allows alliances (large groups of players) to automatically renew their “lease” on star systems they control. Should the bill go unpaid the system goes up for grabs, allowing other alliances to claim it for themselves. That’s exactly what happened on January 27, 2014 when an un-ticked auto-renewal box opened up a system to an invasion force from a rival group. The battle raged for 12 hours had a final tally of a roughly 11 million ISK (the game’s currency) in destroyed ships. That works out to about $500,000 USD turned into space dust because someone forgot to check a box. Whoops. At least the blaze of glory wasn’t in vain, as the developers marked the site of the battle with an appropriate permanent feature — a ship graveyard. If there’s one thing all gamers love, it’s looting. The fun and excitement of opening a treasure chest never grows old. Naturally, some kind of loot has to be the most expensive in video game history. The Atrox Egg was an extremely rare drop from a monster in the game Entropia Universe, another MMORPG. The egg was found on the corpse of a monster during a special event and was initially sold for 100,000 PED, the in-game currency (the equivalent of $10,000). If ten thousand bucks seems a bit too much for a virtual egg, try $69,696. That’s how much a gamer paid for something that was found by rummaging through a virtual corpse. After several years the egg finally hatched and revealed what we all thought a monster egg would spawn — another monster. So if the Atrox Egg was the most expensive piece of loot found among heaps of dead monsters, what’s the single most expensive transaction for a virtual item? If you guessed $330,000 for a virtual space station sold in 2009, that would be wrong. If you guessed $635,000 for a virtual resort sold in 2010, that is also incorrect. The answer is $2,500,000 for the deed to a planet in Entropia Universe, the very same game with the space station, virtual resort and Atrox Egg. What will the investor do with his virtual planet? We’re guessing he’ll turn it into a planet-wide resort, as it’s situated in a region that sees an annual return on investment rate of 27%. Not a bad purchase if you’re patient. In this day and age, video games are competing with heavyweights from Hollywood. Pirates of the Caribbean: At World’s End had a budget of $300 million, while The Avengers, which made over a billion dollars, had a budget of $225 million. The most expensive movie to make was also the highest grossing — Avatar had a production budget of $425 million. These blockbusters are blown out of the water by Destiny, an ambitious project from the creators of Halo that’s said to have cost $500 million. At half a billion dollars it’s without a doubt the most expensive game ever made, and one of the most ambitious and costly media products of all time. Let’s just hope it doesn’t become our generation’s ET: The Extra-Terrestrial. Want to read about more video game insanity? You can learn more about Nintendo World Championships, and some other ridiculously expensive games, on our list of the 10 Most Valuable Video Games. Or, for an article that makes gamers look like the sane ones, check out our recap of 10 Ridiculous Video Game Controversies. Really! 2.5 MILLION DOLLARS for a VIRTUAL PLANET ! *bleep* . Why would anyone do that?